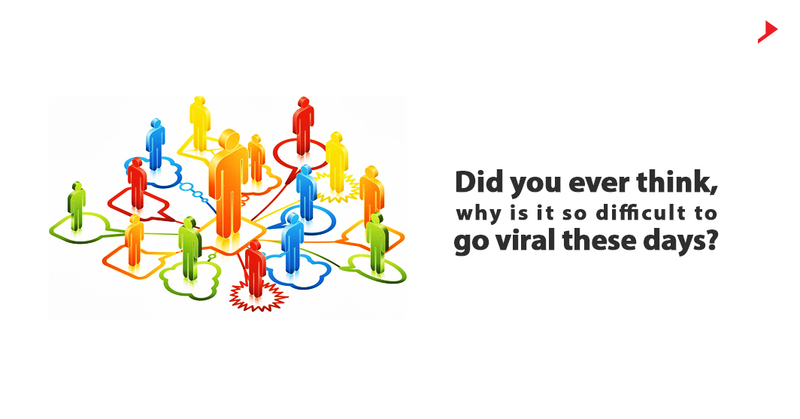 Home / Digital Marketing / Did you ever think, why is it so difficult to go viral these days? These days talking about ideas as if they were diseases is a fashionable trend moving on and there are contents which are infectious. Now a day we do not have any barriers to using social media for public relations. We can easily post videos, photos, announcements, releases, pitches or other information on a variety of platforms. These can also be sent directly to journalists, influencers, friends, clients and strangers. Keeping this in mind advertisers and producers developed a perfect theory and named it as “viral” marketing. A marketing technique to induce users or websites to pass on a marketing message to other sites or users, creating a potentially exponential growth in the message’s visibility and effect. Viral in epidemiology refers to a disease that infects more than one person before it dies. But when we say viral marketing, a doubt clicks my mind. Do ideas and products ever go viral in that way? For quite a while, no one could make sure. It’s difficult to absolutely track informal buzz or the spread of a form or a thought from individual to individual. If you tweet between 5:45 and 5:51 a.m. on odd-number Tuesdays and wear in vogue caps while holding a cat, you also can be renowned. However, don’t purchase that Unicorn right now. The simplicity of web-based social networking is the considerable joy, but at the same time it’s an immense disappointment. Since anybody can do, everybody does. Most of the posts are unexceptional, exhausting and to a great degree normal. Data on the Internet leaves a trail. When we post an article on Twitter, it is shared and re-shared, and each progression of this course is traceable. In the advanced world, researchers can at last answer the question: Do ideas truly circulate around the web? Not by any stretch of the imagination. Couple of years back, a few scientists from Yahoo examined the spread of great messages on Twitter. More than 90 percent of the messages didn’t diffuse by any means. A minor rate, around 1 percent, was shared more than seven times. In any case, nothing truly went completely popular—not even the most shared messages. Most by far of the news that individuals see on Twitter—around 95 percent—comes straightforwardly from its unique source or from one level of separation. In a situation where content isn’t as viral as we may think, at that point how can it truly spread? There are researches which suggests the spread of information is like the broadcast of the Super Bowl than a quick moving virus. The difference between the two is that in broadcasting, a message is sent to people directly whereas a viral spread depends upon the word of mouth. At the end of the day, ubiquity on the Internet is generally determined, not by a million coordinated offers, yet rather by a modest bunch of balanced million impacts, like a Kardashian Instagram post or best billing on different Reports. These are what we can call “dark broadcasters”. It’s critical, yet frequently obscured, impacts inside the information cascade responsible for broadcasting a piece of content to many individuals on the double, a small amount of whom may pass it on. So, what has changed, precisely? In the twentieth century, broadcast power was rare. Only few radio stations, TV channels, and daily papers had the ability to reach large number of individuals. Regardless of your identity, there are news and sites of entertainment, Facebook pages, Twitter accounts, YouTube channels, podcasts, bulletins, which reaches staggering groups of people even though they would have never heard about them. People are losing their confidence in traditional news outlets and that’s the reason now a day’s readers have moved their trust to peers and different social networks. Be Brief, don’t be Boring. Be newsworthy. Want to be heard? Follow the news. Add a new perspective to the topic. Be live in a crisis. Interacting on your social media accounts often. Understanding what your audience needs. But going viral is not at all an effective content strategy because it’s something which cannot be planned and yes, it’s the thing which can be easily replicated for long term success. Most of the viral content has a very short life span. It’s the darling of the internet for a few days or a week or two, and then it’s gone. It’s forgotten, and consumers have moved to the next item. It’s easy to win a game on a single hit however to winning in content marketing requires consistent content creation which is useful for the audience. Every active social media user has his own opinion on what classifies as “viral”. Marketers usually tend to think of this word in a different way. While a regular user might define a viral piece of content to be a video or a post if it gets shared automatically a few times. What’s your secret for getting people to share your Facebook posts and videos? Oh wow! 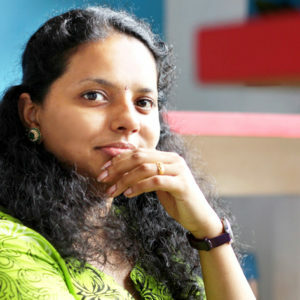 Loved your style of writing. Keep it up.